Search up-to-date Walsh Acres real estate listings in North Regina below! Walsh Acres is an established neighbourhood that is home to families, empty nesters, seniors, and first time home buyers. The community was developed to accommodate Regina’s growing population and the demand for residential housing in the late 1970s. It was part of the city’s expansion to the north and the modest, single-detached home is the predominant Walsh Acres real estate type. Walsh Acres is also host to churches, personal care homes, Fire Station No. 6., many parks and green spaces and three elementary schools. Browse through available Walsh Acres homes for sale found below, or read more about the character & history found in this established North Regina area. Located east of McCarthy Boulevard, north of 9th Avenue N., west of Pasqua Gate and south of Garden Ridge, this expansive community invites you away from the urban noise and welcomes you home to a serene neighbourhood. Family-size bungalows, multi-functional split levels, bi-levels with bright basements, spacious two-storey splits and two storeys with good sized backyards share a pleasing architecture that are welcoming and homey. 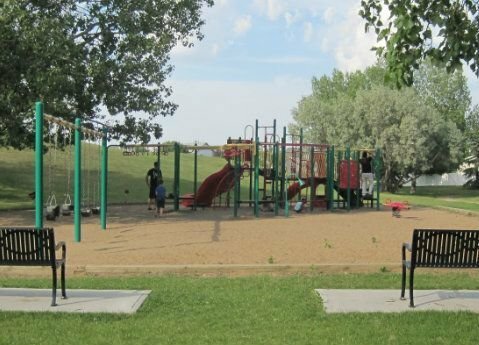 The added charm of the Walsh Acres homes for sale is the number of parks and green spaces located throughout Walsh Acres. 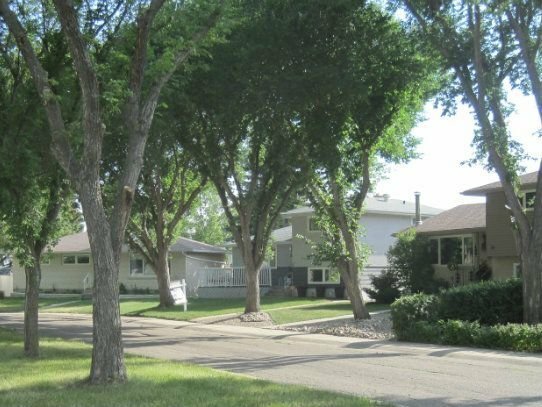 Mature trees canopy over the wide streets, while walking paths and sports fields are situated throughout the neighbourhood. Enjoy an evening stroll as you wander past landscaped front yards with displays of beautiful flowers and shrubs. Walsh Acres is where you will find neighbours chatting, children playing together and see a friendly wave from a car as they pass by. Just a short drive away is Rochdale Boulevard for all your shopping needs. The north end has big box grocery stores, major retail stores, home improvement stores, gas stations, family restaurants, banks and other professional services. Are you looking for new clothes, specialty pet food, tasty bakery items or a great cup of coffee, check out the variety of trendy stores along Rochdale Boulevard. Walsh Acres has so much to offer you and your family. Come home to Walsh Acres. If you'd like to learn more about the wonderful Walsh Acres homes for sale, or book a showing, we invite you to contact the Tourney Group online or call 306-789-1700 to consult a qualified Regina real estate expert.